A squirrel eating power lines, an ice storm in February, a car colliding with a utility pole. These are all examples of things that can cause a power outage. Power outages are often harmless, but if one were to occur during a heavy storm or flooding, the situation can quickly become very dangerous. 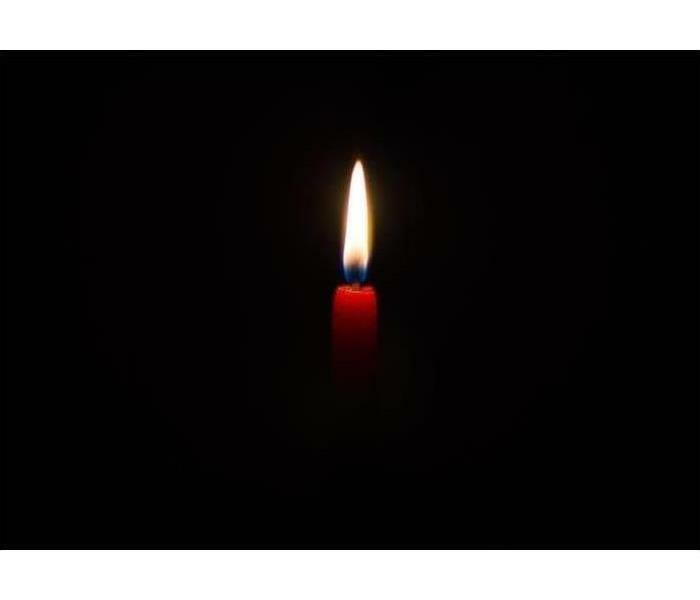 It is beneficial to practice these power outage safety tips to save you and your property. Stock a central location with flashlights, batteries, and candles. Make sure you have nonperishable food that is easily accessible. Have carbon monoxide detectors installed in your home with a battery backup. If there is extreme heat or cold, make sure to find a safe place where it is a reasonable temperature. Know what temperatures your medications need to stay within. Keep fridge and freezer doors closed so food stays cold longer. Unplug electronics so when the power comes back, they do not short out. Find the temperature of perishable foods to ensure that they are safe to eat. Throw out the food items that have perished. If your medication has also perished, contact your doctor about what to do next. Replenish stocks of batteries, flashlights, and candles. SERVPRO of Monroe, Randolph & Washington Counties wants you to always be safe during any disaster. If your home or business has storm damage or you have any questions about power outages, call us 24/7 at (618) 464-0300. As simple as it may seem, there is actually a science behind drying. Psychrometrics is the study of physical and thermodynamic properties of gas-vapor mixtures and is the fundamental science backing our drying processes. Some may think it is sufficient just to lay down towels or place a fan in front of affected areas, but that could allow deep-set water to cause damage without you knowing. Let the experts handle your water issues. 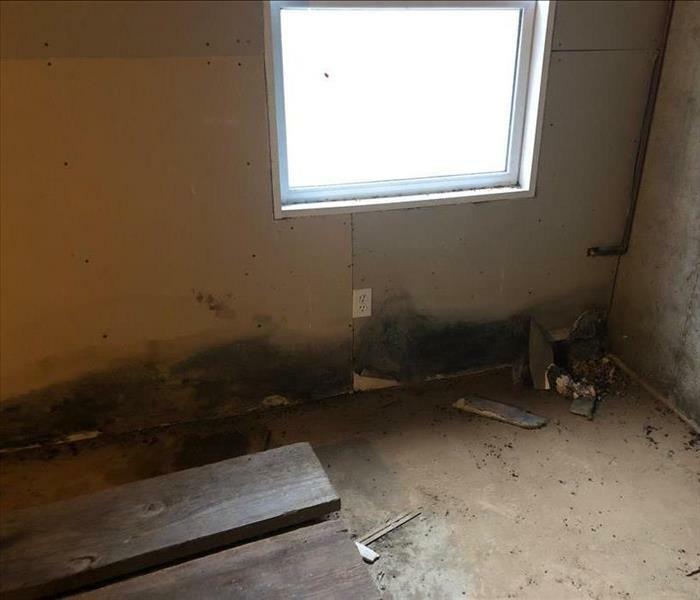 We at SERVPRO follow strict industry standards when it comes to recovering your home from water damage. 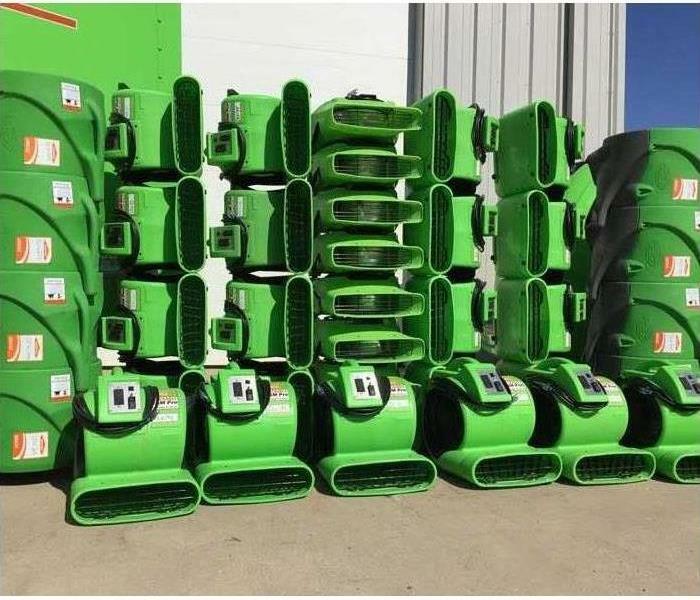 With our state-of-the-art drying equipment and techniques, we can quickly and efficiently return your home or business back to pre-disaster condition. SERVPRO also provides a 24/7 emergency response service so we can assist with your water disaster any time, day or night. 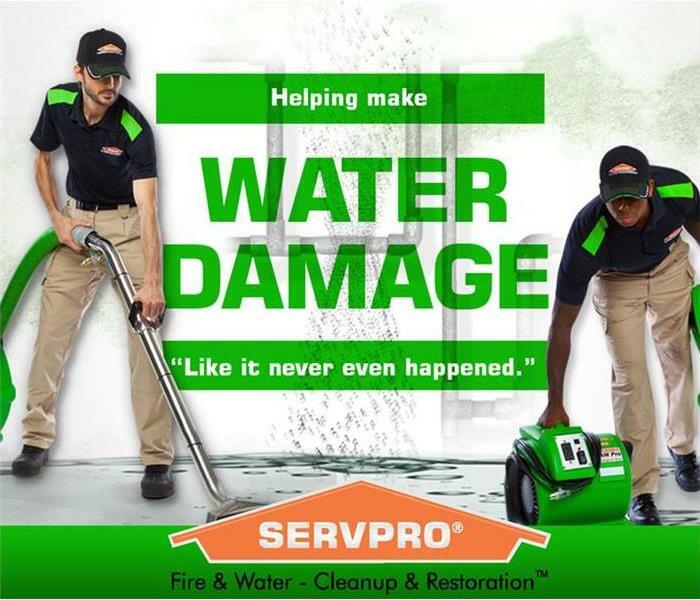 If your home or business has water damage, call SERVPRO of Monroe, Randolph & Washington Counties at (618) 464-0300. Mold is tricky to remediate. It grows rapidly and spreads millions of spores as long as it is allowed to sit. The worst part is, some things cannot be recovered from mold. If mold is growing on drywall, the only way to fix it is to cut out the entire section of affected drywall. Quick mold removal is essential when your stuff is on the line. 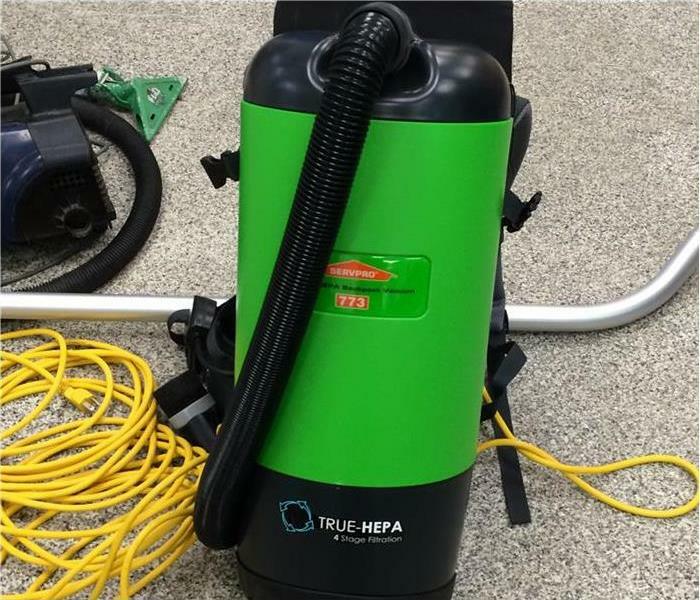 One of the ways SERVPRO helps you recover from any mold disaster is through HEPA filters and vacuums. HEPA filters are heavy-duty filters that can capture particles in the air. When used properly, they are the most efficient way of removing mold spores from your home. HEPA filters are mostly found in our air scrubbers. We close off mold-afflicted rooms and create a negative-pressure environment, forcing all of the air through the HEPA filter-equipped air scrubber. This ensures that those mold spores are captured and destroyed, bringing the mold level back to natural levels. The use of HEPA filters and vacuums doesn’t stop there. They also prove useful in fire situations. Air scrubbers are used to remove smoke odors and HEPA vacuums are used to remove soot webs. If your home or business is affected by mold, call your local SERVPRO of Monroe, Randolph & Washington Counties at (618) 464-0300. Preventing electrical fires can be fairly easy… Taking care of one is a little more difficult. Electrical fires account for about $1.1 billion in property loss every year according to the NFPA (National Fire Protection Agency). To keep yourself and your property safe from electrical fires, follow these simple steps. Try not to overcrowd outlets. 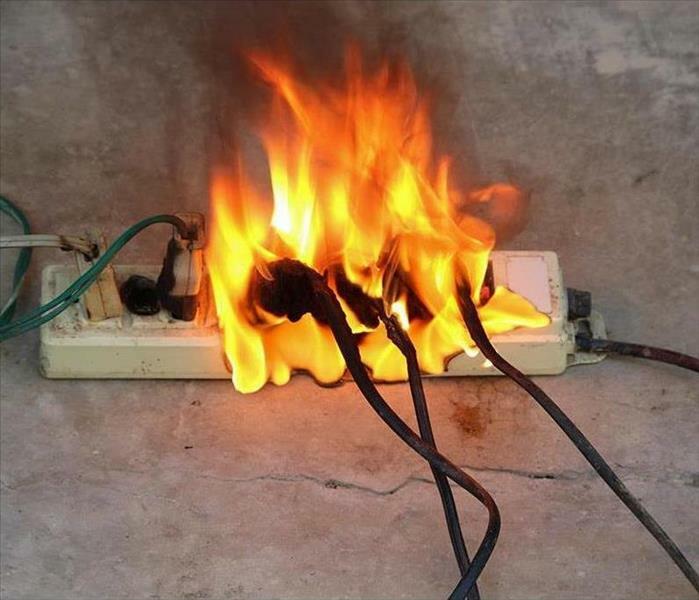 Too many electrical appliances plugged into a single outlet or power bar can start an electrical fire. Try to spread things out as much as you can and monitor the outlets for any signs sparking. Always check the wires or cables you use with your electrical appliances. Using faulty wiring or cables is very dangerous and can lead to an electrical fire. Make sure the appliance you are using is also working properly by testing it thoroughly before you put it to use. If an electrical fire were to start in your home, do not try to put it out with water. Doing so could electrocute you or make the fire worse. The best thing to do is to try to unplug the power source if possible. Smother the fire using baking soda or a class C fire extinguisher. If the fire is still growing after these steps, do not continue to try to fight it. Leave the area and call the emergency services. Being knowledgeable of the dangers of electrical fires can help you avoid them and avoid property damage. If your home or business does experience an electrical fire, allow SERVPRO of Monroe, Randolph & Washington Counties to restore everything back to pre-disaster condition. Call us 24/7 at (618) 464-0300. 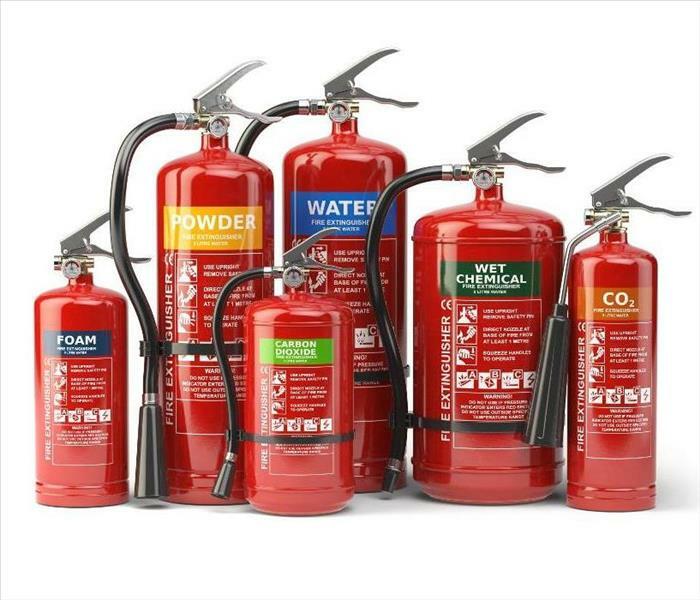 Fire extinguishers, when used correctly, can be life and property saving tools. In order to operate an extinguisher, the National Fire Protection Association (NFPA) suggests remembering the word PASS. Sweep the nozzle from side-to-sde. Call your local SERVPRO of Monroe, Randolph & Washington Counties if your home or business suffers fire damage at (618) 464-0300. 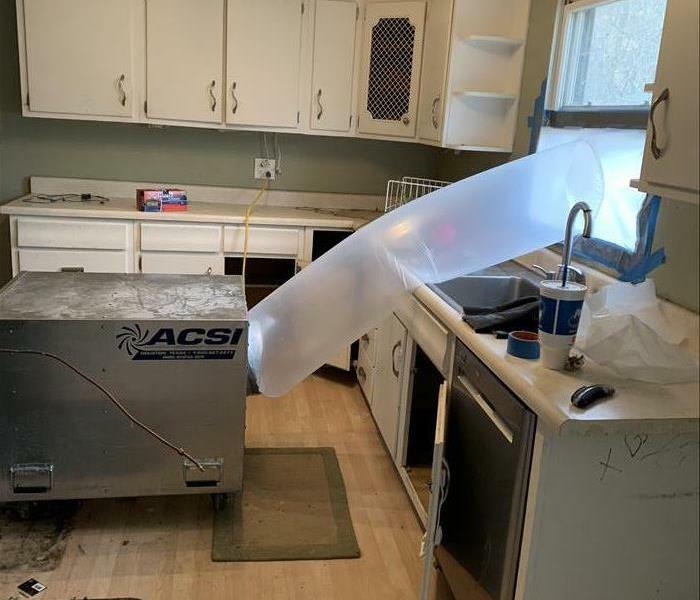 When water damages occur in your home or workplace, avoid the frustration and potential risk of handling the cleanup yourself. SERVPRO of Monroe, Randolph & Washington Counties will respond quickly, with the right equipment to dry and restore your property. Knowing these water damage tips are crucial for keeping yourself and your things safe. Shut off the water source if possible. If it cannot be done safely, do not attempt to shut it off. Remove and prop up wet upholstery to dry them. Do not try to put cushion covers in the washing machine. Place aluminum foil or wood blocks under furniture legs to help protect them. Hang furs and leather goods separately at room temperature to avoid damage. Do not turn on ceiling fixtures if they are wet, and keep out of areas where ceilings are sagging from retained water. Do not turn on any wet electrical appliance. If your home is affected by water damage, call SERVPRO of Monroe, Randolph & Washington Counties. We have the tools and manpower to make any disaster “Like it never even happened.” We’ll always have your back 24/7, 365 days a year with our emergency response service. Contact us at (618) 464-0300. 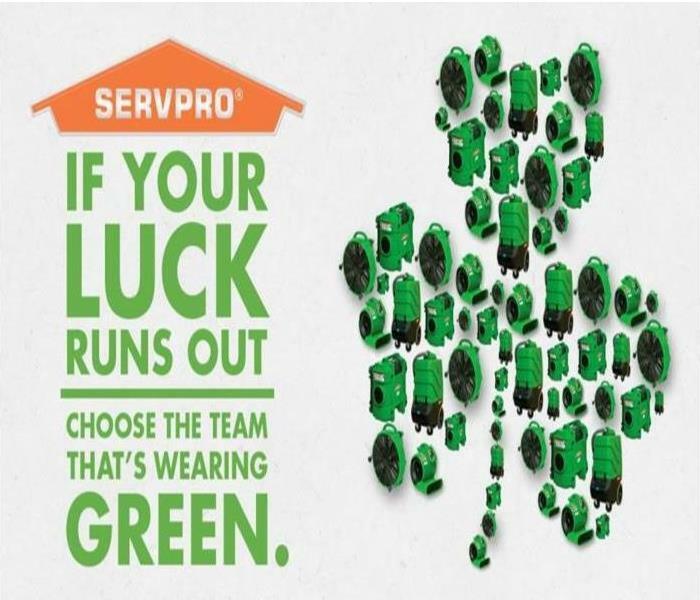 This St. Patrick’s Day season, choose your local SERVPRO of Monroe, Randolph & Washington Counties for any of your fire, water, storm, or mold restoration. Contact the experts 24/7 at (618) 464-0300. Mold left unchecked can cause massive damage to a home or business. If your home or business has mold issues, call your local experts at SERVPRO of Monroe, Randolph & Washington Counties at (618) 464-0300. 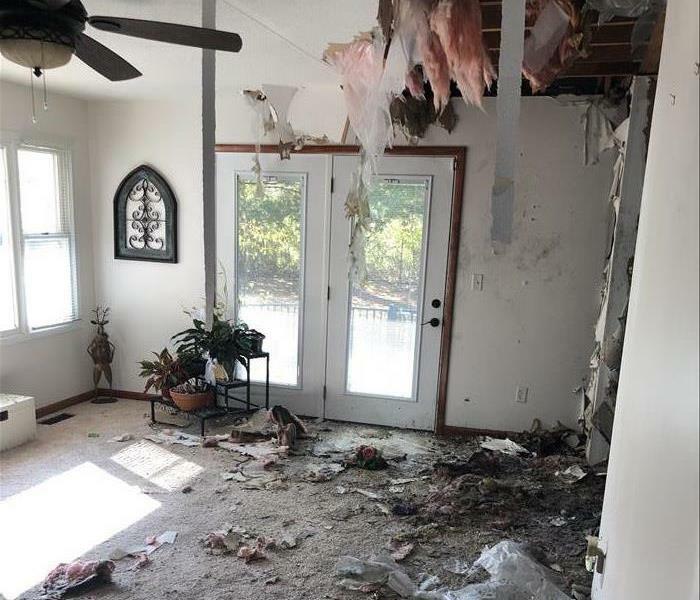 The fire that tore up this living room began in the kitchen. The #1 cause of home fires is cooking equipment! For most people, smoke alarms just tell them when they have started cooking in the kitchen. However, as much as we joke about the pitfalls, smoke alarms SAVE LIVES when properly maintained. Keeping you and what you care about safe is worth a few nine-volt batteries every few months. Smoke alarms should be in every bedroom and on every level. For office and commercial environments, check your state requirements. Should you ever have an incident where fire or smoke damage occurs at YOUR home or business, contact our 24/7 emergency service and we will make it “Like it never even happened”. Call SERVPRO of Monroe, Randolph & Washington Counties at (618) 464-0300. An air scrubber at work, filtering out mold spores. Mold can be difficult to tame which is why we pride ourselves in having the best tools for remediating, or reducing to natural levels, any amount of mold in your home. We use special machines called air scrubbers along with plastic ducting to create negative pressure in the mold-affected rooms. This ensures that the mold does not spread during the cleaning process and that the spores in the affected rooms are filtered out. SERVPRO will clean any and all restorable items in your home. Using cleaning and sanitizing techniques, our technicians will remove any signs of mold, making it “Like it never even happened”. If your home is affected by mold, do not hesitate to call the experts 24/7 at (618) 464-0300.